Let’s make something perfectly clear from the outset: bath salts and “Bath Salts” are not the same thing. The former can be dropped into a tub of hot water and will infuse your bathroom with delicious top notes of vanilla lilac or jasmine rose. The latter will send you into a paranoid, hallucinogenic rage that can end in self-mutilation, suicide or homicidal acts. If you buy a jar of peppermint-infused bath salts from Bed, Bath & Beyond and attempt to smoke them, you will not get high. In all likelihood you’ll cough profusely and feel like your lungs are trying escape from inside your chest cavity. Actually, I’m pretty sure that you can’t even smoke proper bath salts because their main ingredient, sea salt, is inflammable. Nevertheless, I labored under the misapprehension that people were actually getting stupid high off of something that was made by a subsidiary of the Yankee Candle Company. I don’t think I’m alone on this one either. The first reports I heard of this phenomenon came out of Kentucky, Mississippi and Louisiana and I figured this was simply another in a long tradition of rural junkies finding ingenious ways of getting lit. To dispel this myth and provide a few truly bizarre stats and stories, I’ve created this small PSA on the whys and wherefores surrounding this poorly named drug. These make you want to tear your face off with a steak knife. Bath Salts are actually classified as a designer drug, which is a broad category of miscellaneous drugs that were created to avoid pre-existing drug laws. The most famous designer drug–and the only one to be name-dropped in a Jay-Z single–is MDMA, also known as Ecstasy. Like Ecstasy, Bath Salts are a synthetic drug that are derived from a previously existing illicit substance. The reason why they are called Bath Salts is to masquerade as a harmless consumer product that isn’t intended for human consumption. Some other designer drugs are marketed by the similarly misleading name “Plant Food” and the rather fitting moniker of “Research Chemicals.” If I’m being honest, I have to admit that the demented genius of Bath Salts is in it’s seemingly innocuous & totally ridiculous name. Who can take anyone seriously when they’re going on about the insidious and deadly scourge of Bath Salts? Would you think heroin was as big of an issue of it was actually called Pickle Juice? I honestly don’t think so. Now that we’ve established that Bath Salts are not made of bath salt, what the hell are they? The belief is that most Bath Salts are made using Methylenedioxypyrovalerone, or MDPV for short. As the beginning of that miles-long name suggests, the high gained from Bath Salts is most similar to the high given off by crystal meth. The only difference is that something in these Bath Salts can take the intensity and hyper-focus characteristic of Meth and add a lethal dose of violent paranoia, hallucinations and suicidality. To be honest, I have absolutely no idea why anyone would ever take Bath Salts and I’m not an acolyte of Nancy Reagan either. It is not a mystery why people use and abuse drugs like heroin and crystal meth and weed. There are very specific chemical reactions that cause the brain to irresponsibly release a flood of delicious neurotransmitters into your head space that create pleasurable sensations, if only momentarily. 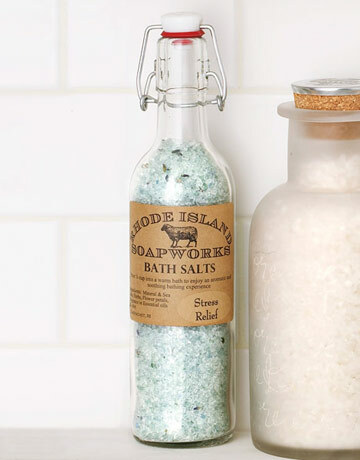 I cannot see one thing about Bath Salts that looks remotely pleasurable. And neither, it seems, can anyone who has been on record having abused them. I’m sure by now you’ve heard he horrific story out of Florida of the crazed man who was shot and killed by police after chewing off about 75% of another man’s face. Well, authorities believe now that the attacker was high on Bath Salts at the time he was killed. What’s even more frightening is that this behavior is fairly consistent with that of many people who abuse the drug. Reports of Bath Salt abuse are often characterized by extreme violence, masochism and suicidality. It seems to have been designed to illicit as many Emergency Department visits as possible. And if statistics from poison control centers are any indication, the drug is being used with alarming frequency. The Office of National Drug Control Policy recently released statistics that showed an incredible increase from only 304 calls to poison control centers in 2010 as the result of Bath Salt use to 6,138 calls in 2011. 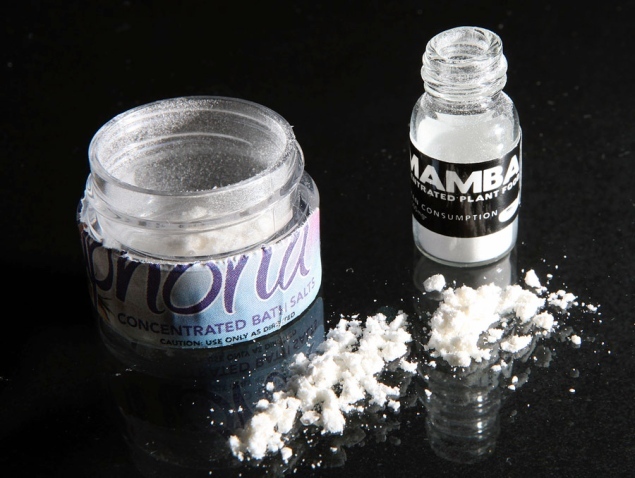 The federal government is in the process of trying to criminalize the use & possession of Bath Salts and some of their active chemicals while a number of states have already banned the sale of the drug. Hopefully, the quick growth of Bath Salt use is related primarily to it’s legality/accessibility and not the high the drug gives to its users. With any luck, it will fade into the dustbin of narcotic history in the near future as it becomes more and more difficult to manufacture and distribute. At the very least, you now know that Aveda doesn’t sell hallucinogenic drugs.